Changing court surfaces at a moments notice not only requires a mental preparation focus but also a bodily adjustment – lets explore the body of tennis ! The recent ‘Pro Tour’ in Australia has had the players change from hard court to grass to clay in a 6 x week period. Like wise the main tour currently just finished in the USA, two major hard court events, now move to the European clay circuit and a different speed and bounce. 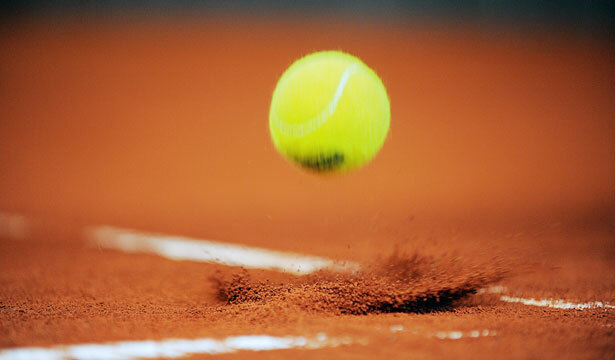 Today’s tennis, it is not possible to change game styles, but an awareness of longer rallies and sustaining the pressure, looking for opportunities that appear less often – yes – mental focus and prep is the order of the day. Adding a few more shots to the rally (discipline) | having more time to be more precise with placement (balance) | variety of spin to advantage early rise (time taken away) | add some flair (brain to foot) | use power/penetration (aggressive) …… discipline to balance and take time away from your opponent by brain quickness all in an aggressive manner !! The importance of our physicality and what we put into it covers added dimensions to our body of tennis – be it nutrition or physical training or recovery or equipment (footwear / string) with a focus of … for every one hit there is two movements !! Game style stays – it is just going to take a little bit longer to implement it – Happy Clay Day ! This entry was posted in Blog and tagged balance, body, clay court, discipline, main draw, Pro Tours, qualifying events, tennis ball. Bookmark the permalink.